BEAUTIFUL MOBILE HOME New camping 4* 200m from the beaches of Lake OCEAN & POOL - Mobil home 2 rooms very equipped in the moors to sanguinet. Mobil home 2 rooms very equipped in the moors to sanguinet. An unforgettable holiday in a mobile home nine luxury 2 bedrooms + living room and kitchen ULTRA EQUIPPED AIR. Heating and shutters in all rooms. TV and DVD and DISHWASHER bathroom and separate toilet. Very large covered terrace 18m² approx. 3 nights: May 5 to May 7 € 205 all inclusive. 2 nights May 14 to May 15 € 150 all inclusive. 3 nights: May 5 to May 7 € 190 all inclusive. 2 nights May 14 to May 15 € 130 all inclusive. 2 bedrooms € 43 / stay for 2, 4 people. 3 bedrooms € 53 / stay up to 6 people. Man mountain bike hire adults / Female € 30 / week. Helmet rental office BB + 10 € / week. Cot € 20 / per stay. Bath towels (shower) 30-35 € / per stay. Your unforgettable holidays in Sanguinet beach at 200m from the lake, in a superb mobile home luxury, new, 30m ² in 2 rooms up to 4 people or 34m ² in 3 rooms up to 6 people, in 4 stars campsite ideally located on the coast Landaise at 200 meters from the beaches of Lake Biscarrosse and near Arcachon, the dune of Pyla, and Cap Ferret. The mobile home is air-conditioned with TV LCD TNT and radios, DVD player USB key. Dishwasher, freezer, extractor, microwave, roller shutters in bedrooms and radiators in all rooms. Optimal comfort and large covered terrace illuminated of 18m ² env. In season unlimited access and free to all activities of the campsite. The aquatic area is open from April to the end of October. Heated swimming pools 7 pools, including a covered heated, 2 water slides, jacuzzi, water sports, playgrounds for children and animations in high season. Cycling tracks 150m from your mobile home. Rent ATV at attractive prices. Theme parks such as Parc Aventure, Aqualand, Kid Park, Karting, Laser Lander, AcroBranche. Jet ski in Arcachon and paragliding on the dune of the pilat. Aerodrome at the test. Stud in Gujan-Mestras. Gastronomy of quality: foie gras, duck breast, seafood, confit, seafood, oysters, tourtière, pastis landais, fluted. The landes department is a green and preserved region, ideal for recharge. The benefits of CAMPING 4 **** are not to be outdone, judge: Swimming pools 7 pools, 2 slides, a jacuzzi, paddling pools, heated pools 28 °. Sports fields: football, basketball, volleyball, tennis, table tennis, mini golf and petanque park. Mini-market and restaurant open from April 1st, as well as animations from out of season. During the school holidays, the animators of the camping take care of the children of 6 to 12 years free (no day nursery). Games and entertainment all day and evening for the whole family. Close to 200m from your holiday rental, the fine sandy beaches of the lake and their waters that oscillate between 24 and 28 ° in the summer. The shops of the 4 **** campsite on site: hot spot, snack bar, restaurant, caterer, presses, supermarket are constantly listening to you to give you the best service. The shores of Lake Biscarrosse are ideal for children, the water is shallow and transparent, safe and reassuring for the little ones. Water sports are practiced until sunset; Sailing, kayaking, windsurfing, kitesurfing, fishing and pedal boats. For lovers of hiking and mountain biking, hiking trails and bike paths will allow you to discover a unique and privileged environment between the great lakes and the ocean in the largest pine forest in Europe. The Landes department awaits you, geographically located to radiate and discover other nearby departments, such as the Gironde, the Gers, the Basque country and the Pyrenees and Spain. The animations follow one another from morning to night in July and August: gym, aquagym, step, Lia, stretching. In the evening, a themed evening, cabaret, disco, magic and shows for the whole family in a festive and relaxed atmosphere. The family campsite offers Wi-Fi Internet access, barbecue areas, a laundry room with dryer, a restaurant and a small supermarket. The stays out of season are unforgettable, calm and beautiful landscapes will subjugate you. Quiet walks through the Bordeaux vineyards, spectacular surges of Capbreton, the family climbing of the dune of Pilat to the peaceful waters of Lake Sanguinet, the coastline Aquitaine offers a beautiful range of leisure and caters for both Contemplatives and high-level athletes. 300 km of fine sandy beaches that stretch as far as the eye can see from Soulac-sur-Mer to Arcachon and from Biscarosse to Hossegor. It is a unique show in Europe. Water sports, sailing, windsurfing and sand yachting. Boat rental, sailing school. If the beaches of the Cote d'Argent are in their length adapted to the practice of sand yachting (especially in the off-season when the wind is strong), the great lakes of Landes and Girondins (of Hourtin, Lacanau, Cazaux, Biscarosse and Hossegor in particular) are suitable for sailing in all its forms: catamaran, 420, habitable sailboat, windsurfing board or funboard and kitesurf. La Teste-de-Buch, Arcachon and Hendaye have the label "France Sailing Station" which allows access to the high seas. The fishing enthusiast will leave by boat in the enclave of the bassin d'Arcachon or on the coasts of the Landes. Fishing on Lake Biscarrosse is also very pleasant. Canoeing on the river, on the Leyre in the Landes to the estuary of the Gironde: a magnificent day in the heart of a preserved site! There are 12 bases distributed along the watercourse. If you are a family, here you can go down the river, and enjoy the landscapes and their fauna. The climb of the dune of the Pilat, the highest dune of Europe with its 117 m altitude is a "classic" of hiking on the Aquitaine coast! To make this exceptional site threatened by erosion accessible to all, a staircase facilitates its climbing. The panorama on the ocean, Cap Ferret, the passes of the bassin d'Arcachon and the ornithological reserve of the bench of Arguin is fabulous! The dune of the Pilat also includes a famous paragliding spot for beginners and experienced. Cyclotourism is a very popular activity in the Gironde, with 171 clubs, 1060 km of cycle paths and 2750 km of marked hiking trails, most of which are accessible by mountain bike. From landscapes of hilly vineyards to the flat paths of the Landes forest, everything is gathered to spend good moments with family. The equestrian hike is a very exciting solution that reconciles sport and discovery of the Aquitaine coastline! At the rhythm of the gallops on pine needle carpets, you will cross the forest of the Landes, discover the low-lying Landes wooden houses and reach the top of the dunes, above the ocean. Fishers will also find professionals to ensure good times with family or friends. The rental of boats of all sizes will be proposed to you by quality providers, which we have selected for your stay in the landes. From motorboats and sailing boats to unusual boats, you will find everything you are looking for. Attentive to the preservation of resources, we use products Vegan and Eco Guarantee. FOR A NIGHT CONSULT US. Your Home is my priority. We aim to keep you well informed about activities in the campsite and you're looking to discover a wonderful area. Varied gastronomy, numerous activities and extraordinary places to visit will make your stay with us one of the most intense moments of your life. This is the region where I was born and where I spent my childhood. I would be very pleased to share my passion for this region of the Landes. Quality of life of the Arcachon Basin where nature still retained all rights sufficient to justify my choice to help you discover the joys of the place. An ideal geographical location between lake and ocean. The nearby lake 150m from your rental, theme parks for children. An obvious attraction with the Dune du Pilat. A green region, unspoilt, quiet and welcoming. Quality gastronomy, rich to please everyone. The rental is tailored to customer requirements, the constant effort to improve the rentals made us a must. Rental from Saturday to Saturday and from Sunday to Sunday. Weekend à la carte. OPTION CLEANING € 90 Rental complete kit sheets: 2 bedrooms € 43 / stay for 2, 4 people. 3 bedrooms € 53 / stay up to 6 people. Man mountain bike hire adults / Female € 30 / week. Helmet rental office BB + 10 € / week. Cot € 20 / per stay. High chair € 10 / per stay Bath towels (shower) 30-35 € / per stay. Shower room with shower cubicle and washbasin, heated with independent radiator. Hairdryer at your disposal. Hire of towels 35 € the stay; A check in the options of your lease. High-performance air conditioning for optimum comfort in summer. Electric heating, radiators in all rooms for great comfort especially off-season in the bedrooms and the bathroom. The campsite has a laundry room as well as washing machines. Wifi paid at the campsite. Dishwasher 12 place, washing raw pellets offered. Fridge with separate freezer for ice cream and ice cubes for cocktails. Cooking plate 4 gas burners and extractor fan. Grid bread for lunch and for replenishing snacks. Dinner plates, soup and dessert plates, cutlery, can opener, steak knives, corkscrew, knife oysters, vegetable peeler. Nice table for the whole family. Plasticized tablecloth. You can wear yours and think of the one for the garden table, to make you feel at home. LCD TV or LED TNT flat screen and radio. USB port on TV. French channels only. DVD not supplied USB port on TV. Think of wearing your favorite movies. On site at the campsite in July and August for teens. Plot of 100m ² approx. Depending on weather conditions. Kayak on L'eyre in Mios or from Salles to the bassin d'Arcachon (excellent!) A 200 canoe or canoe. Electric boats on the lake for children. Bicycles for rent - preferential rates for our guests. Available at booking. Likelihood of scarcity depending on the number of bookings by holidaymakers. Launching within 1 Km, you can rent on the lake and the Arcachon basin for the jet sky. Ships sailing and motor sailing school in French sanguinet. Large covered terrace (tarpaulin) in front of the mobile home 18m ² env, with outside lighting for the evening. Water theme park not far from your mobile home. In Gujan-Mestras and Maguide, Aquapark. Tennis lessons on site - Free a book to the campsite once there. Golf de Gujan Mestras or Arcachon 18 holes within 15 km of Sanguinet. Mini golf in the campsite. 7 heated pools and 1 indoor heated pool from April to October. Free and unlimited access for our customers. Outdoor swimming pool open from spring holidays until mid September. Mobil home tres propre,spacieux et fonctionnel. Super accueil des propriétaires accompagné de bon conseil pr passer un excellent séjour. Le camping est agreable et tres proche du lac de Sanguinet qui est ideal pour passer un bon moment avec des enfants. Nous y reviendrons sans hésitation l année prochaine! Nous vous recevrons l'an prochain avec le même plaisir. Mobil-home très bien équipé et spacieux. Les "petites adresses" conseillées dans le "book" sont à faire !!! Je vous remercie pour votre gentille appréciation et je suis très heureux que vous ayez passé un agréable séjour chez nous. volets au fenêtres , clim , spacieux, grande douche!! Merci Virginia Baguenard. Nous essayons de faire de notre mieux pour nos vacanciers. Vos propos sont notre récompense. Merci beaucoup. Die ozeanstrände waren ein Traum, nun müsste man immer mit dem Auto fahren, der See am Campingplatz war sehr schön, nun war der Eingang ab 18 Uhr zu, sehr schade! Mobil home neuf très bien équipé. Séjour en famille très agréable. Très bon accueil d'Eric et Jean-François, ils nous ont donné d'excellents conseils notamment sur les bons restaurants. Je conseille vivement cette location. Merci à vous également. Au plaisir de vous revoir à Sanguinet avec un peu plus de soleil ! Nous vous recevrons à nouveau avec grand plaisir. Our rental is ideally located on the Atlantic coast at 200 meters from the white sandy beaches of Lake Biscarrosse, between Arcachon and Biscarosse beach. Lake and ocean are nearby. Large spaces for the escape, the Dune du Pyla (the highest in Europe) for fun and big family cabrioles. The forest of the moors for great walks in the shade of the pines. Numerous bike paths from the campsite with direct access to the village of sanguinet by the edge of the beaches of the lake. Water sports, motorboat rental, sailing school, theme parks for children. Nearby: Bordeaux classified as a world heritage site (35 minutes away) - Biarritz at 1 hour 30 minutes - Hossegor - Mimizan - Spain San Sebastian 2 hours from your rental. Green and preserved. Gastronomy and well known regional products. Duck magret, seafood, visit of farm and sale of quality farm products. EN JUILLET ET AOUT: LOCATION DU SAMEDI AU SAMEDI ET DU DIMANCHE AU DIMANCHE uniquement. Tarifs de location mobil home 3 chambres, consultez notre annonce 2 chambres sur Abritel. Ménage en fin de séjour, proposé à 90€ - Règlement par chèque - Espèces - virement, chèques vacances ANCV bienvenues: Arrhes de 30% à la réservation - solde 30 jours avant le 1er jour du séjour. - Paiement CB express par le site Abritel: Arrhes de 50% à la réservation solde 30 jours avant le 1er jour du séjour. POUR LES TARIFS SPÉCIAUX NOUS CONSULTER Les week-ends en Avril,Mai,Juin,Octobre: Mobil-home 2 chambres du samedi au dimanche 90€ HORS FRAIS DE SERVICES Mobil-home 2 chambres du vendredi au dimanche 120€ HORS FRAIS DE SERVICES Mobil-home 3 chambres du samedi au dimanche 100€ HORS FRAIS DE SERVICES Mobil-home 3 chambres du vendredi au dimanche 130€ HORS FRAIS DE SERVICES POUR UNE NUIT NOUS CONSULTER. PENTECÔTE Du samedi 19 Mai au lundi 21 Mai 2018, 17h. 142€ en mobil-home 2 chambres. HORS FRAIS DE SERVICES 154€ en mobil-home 3 chambres. 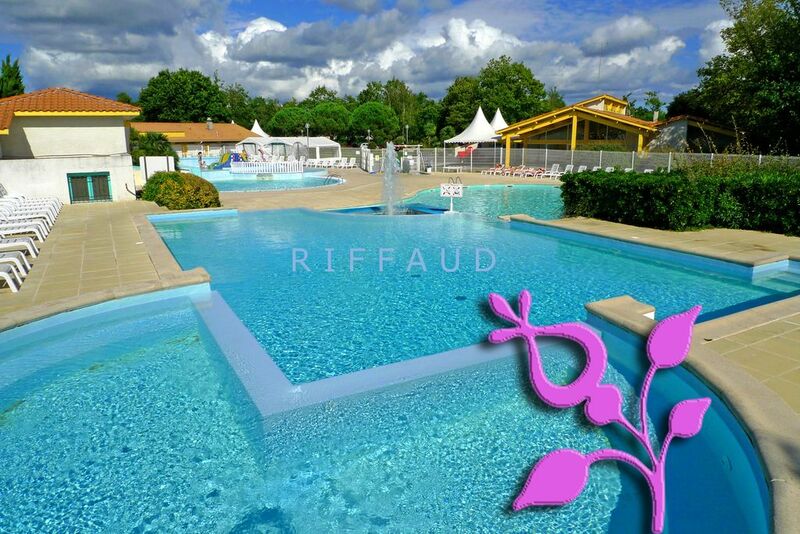 HORS FRAIS DE SERVICES IN JULY AND AUGUST: RENT FROM SATURDAY TO SATURDAY AND SUNDAY TO SUNDAY only. Rental rates mobile home 3 bedrooms, see our announcement 2 rooms on HomeAway. Cleaning at the end of the stay, proposed at 90 € - Payment by check - Cash - transfer, ANCV holiday vouchers welcome: Deposit of 30% on booking - balance 30 days before the first day of stay. - Payment CB Express by the site Abritel: 50% deposit upon booking balance 30 days before the 1st day of stay. FOR SPECIAL RATES, CONSULT US Weekends in April, May, June, October: Mobile home 2 rooms from saturday to sunday 90 € EXCLUDING SERVICES Mobile home 2 rooms from Friday to Sunday 120 € EXCLUDING SERVICES Mobile home 3 rooms from saturday to sunday 100 € EXCLUDING SERVICES Mobile home 3 rooms from Friday to Sunday 130 € EXCLUDING SERVICES FOR A NIGHT CONSULT US.